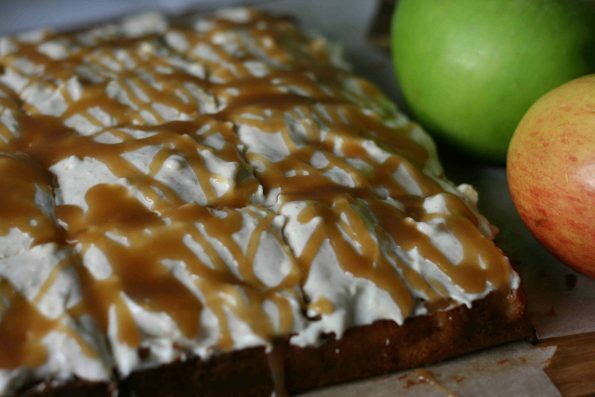 I’ve wanted to make a poke cake for a while and when I saw the recipe for this caramel apple poke cake on Baking Mad I couldn’t resist. If you haven’t come across poke cakes before essentially you make a cake, and poke holes in it to pour the sauce inside. 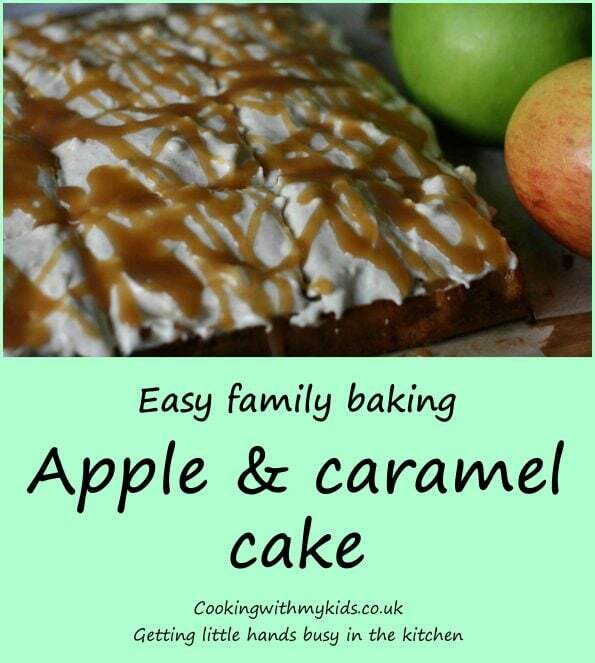 The caramel makes it deliciously gooey and moist, the perfect treat for an autumnal day. Preheat the oven to 190C/170C Fan/ 375F. 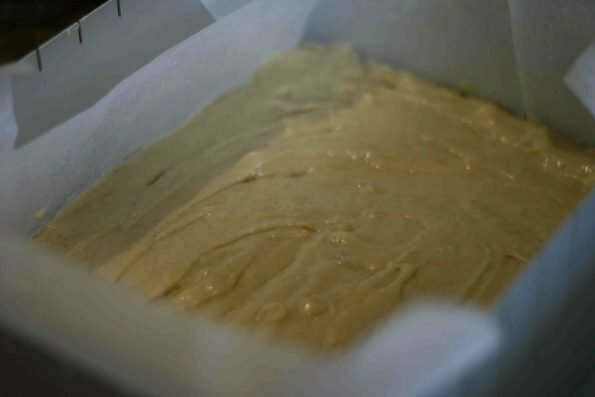 Grease and line a 23cm x 33cm baking tin with baking paper. Peel, core and chop the apples into small pieces. 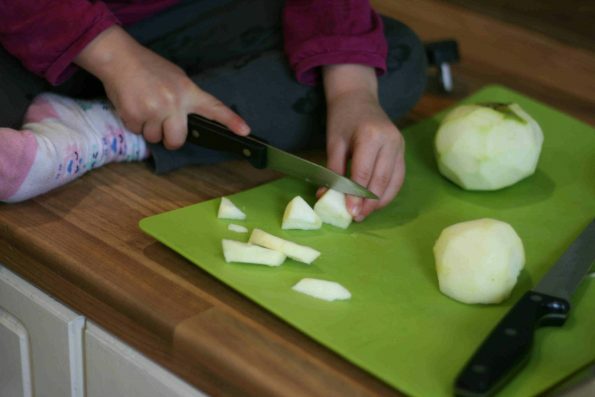 This is a great way to get little cooks practising their knife skills as it doesn’t matter if they are a little uneven. 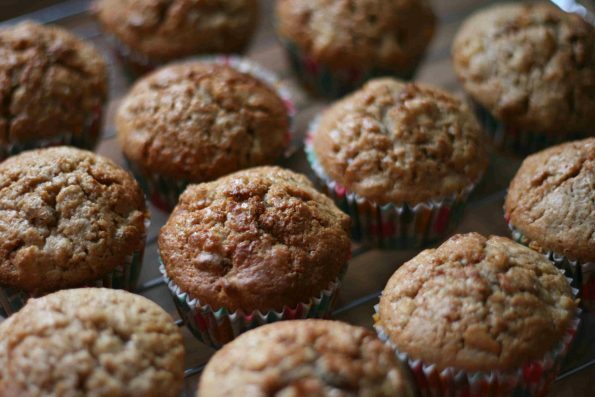 Cook the apple in a small pan with a tbsp of butter and a splash of apple juice until they are soft. Remove from the heat and allow to cool. 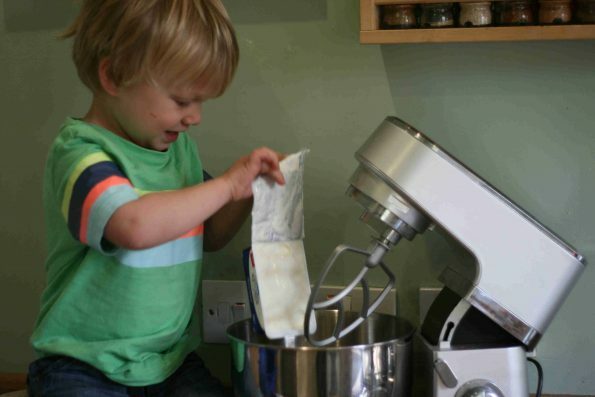 Get your little one to measure the butter (270g) and sugar (270g) out and add to a mixing bowl or freestanding mixer. Cream them together until they are well mixed. Measure the flour (270g) in a small bowl. Break the eggs in a separate bowl and add them to your mixture one at a time along with a spoonful of flour to stop it curdling. Give it a good mix in between the addition of each egg. Add the vanilla (1 ½ tsp) and mixed spice (2 tsp) and beat well. 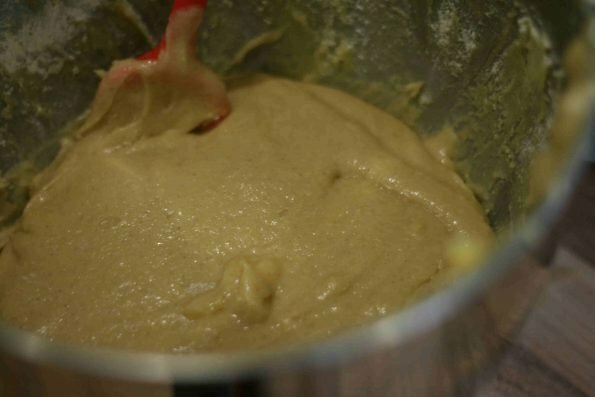 Add the flour and baking powder (1 tsp)and gently fold into the mixture. Lastly add the milk (2 tbsp) milk the cooked apples and give it one final mix. Pour the cake batter into your prepared baking tin and smooth down the top. Bake in the preheated oven for 30 minutes. It’s ready when the cake is golden and springy to touch. Remove from the oven and allow it to cool in the tin. 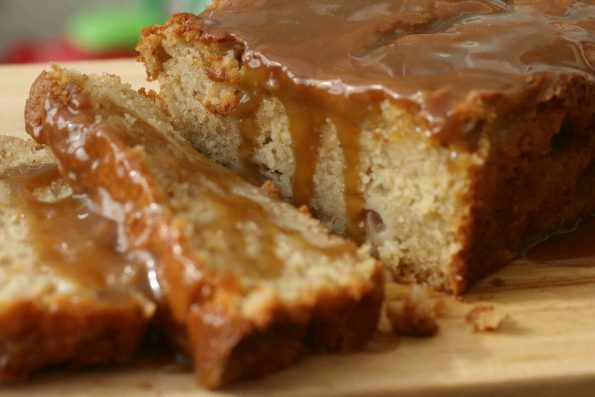 While the cake is cooling, make the caramel sauce. 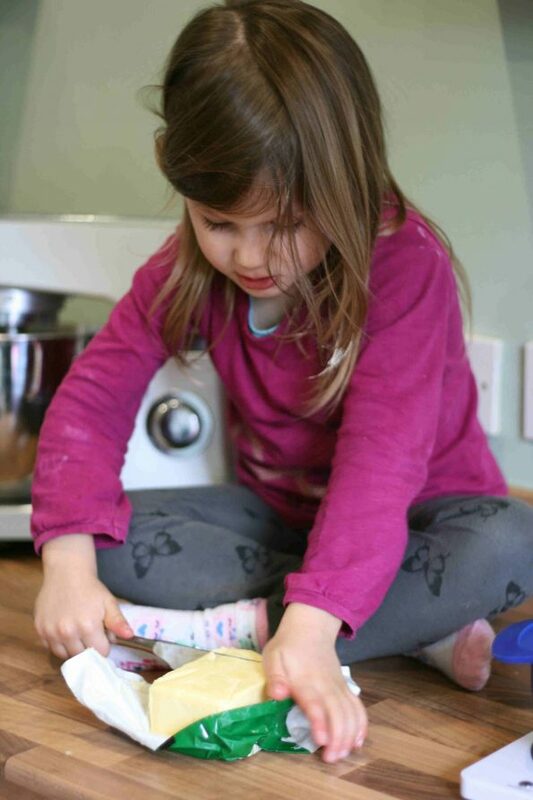 Measure the sugar (50g), syrup (100g) and butter (35g) and add to a pan. Heat is gently until the butter has melted then allow it to bubble for around three minutes. Remove from the heat and add the cream (80g) and vanilla (1/2 tsp). Give it a stir then put it aside and allow it to cool to room temperature. While the caramel is cooling make the icing. 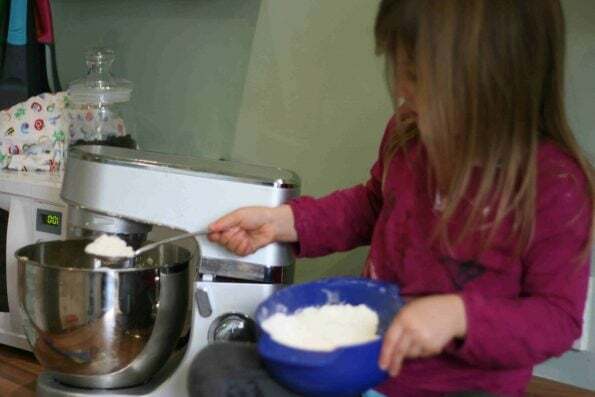 Weigh the icing sugar (300g) and butter (90g) then mix together using a stand mixer or wooden spoon until they’ve come together. 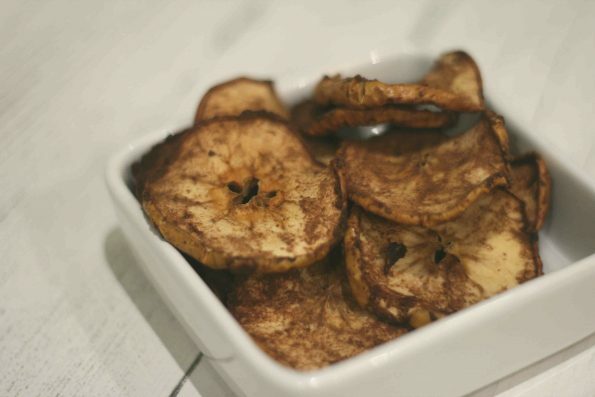 Add the cinnamon (1 tsp) and cream cheese (300g) and beat together until it is combined. Don’t overbeat it as it can make the mixture go runny. Pop it in the fridge until you are ready to assemble the cake. 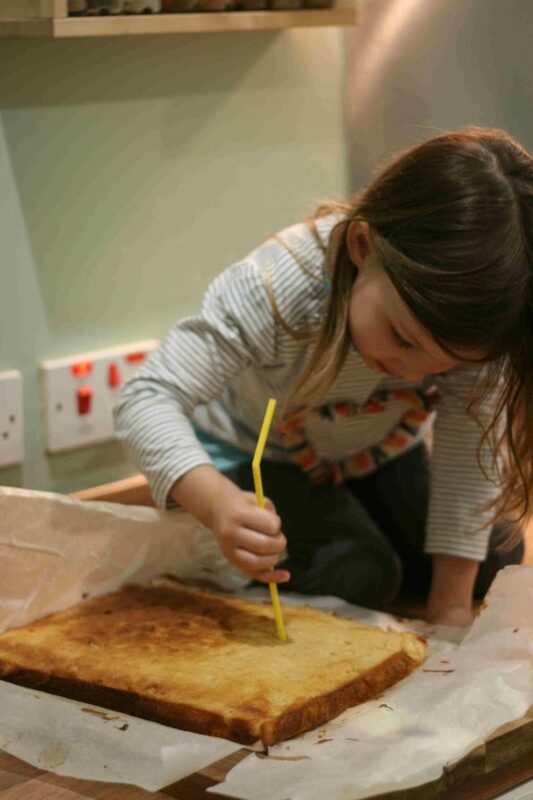 Using a straw, get your little chef to poke holes all over the cake that go about ¾ through. Pour half of the cooled caramel over the cake making sure it goes into the holes. 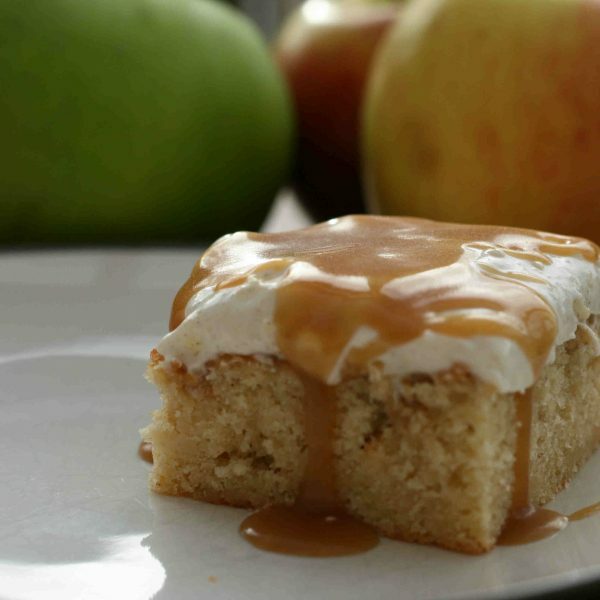 Spread the cream cheese frosting over the top of the caramel apple poke cake, then drizzle the remaining caramel over the top. Peel, core and chop the apples into small pieces. 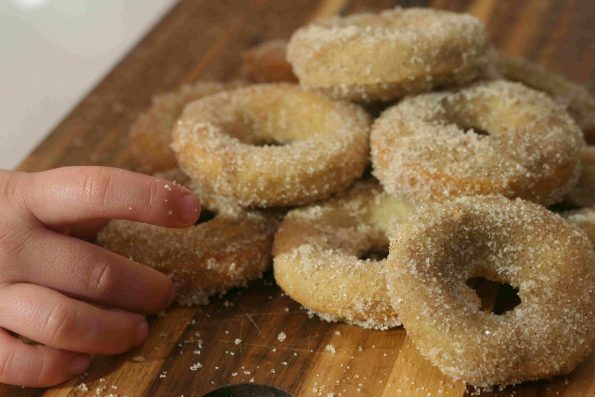 Cook them in a small pan with a tbsp of butter and a splash of apple juice until they are soft. Remove from the heat and allow to cool. 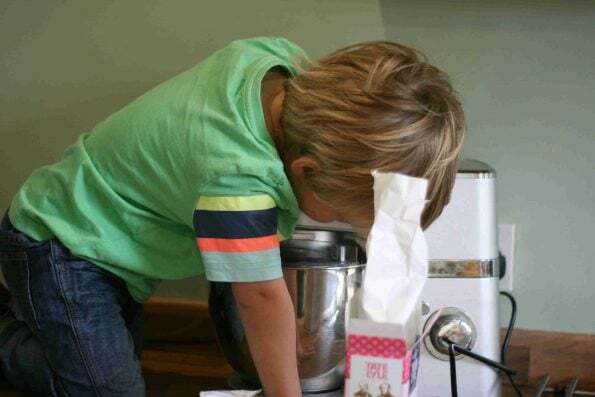 Measure the butter and sugar out and add to a mixing bowl or freestanding mixer. Cream them together until they are well mixed. Measure the flour in a small bowl. Add the vanilla and mixed spice and beat well. 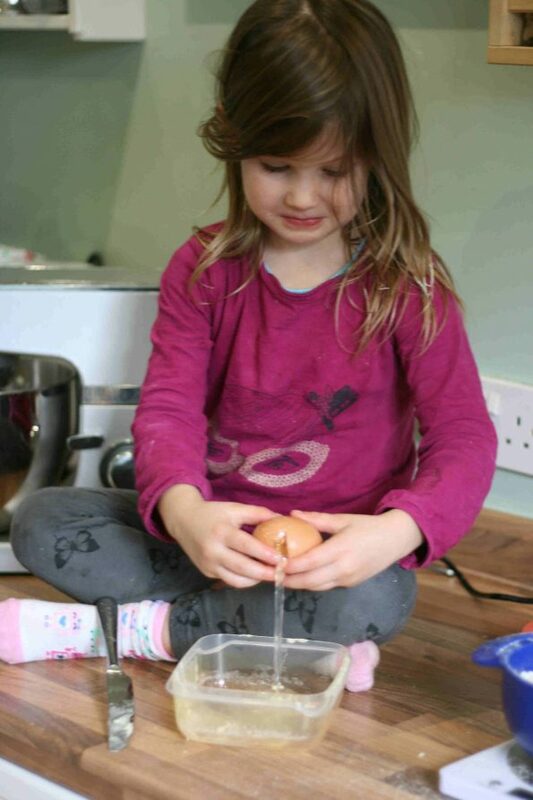 Lastly add the milk and the cooked apples and give it one final mix. 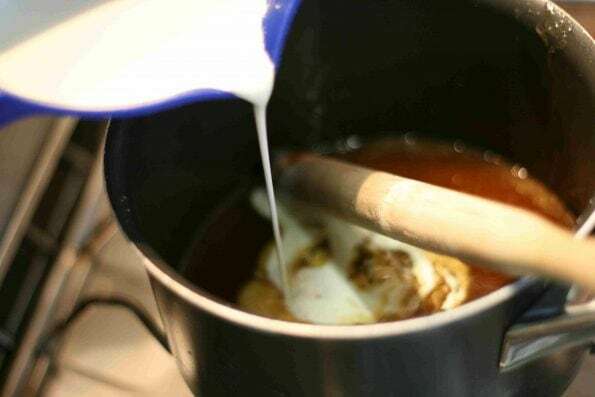 While the cake is cooling, make the caramel sauce. 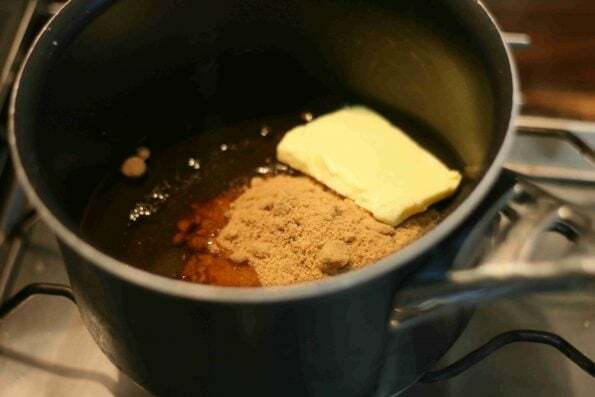 Measure the sugar, syrup and butter and add to a pan. Heat is gently until the butter has melted then allow it to bubble for around three minutes. Remove from the heat and add the cream and vanilla. 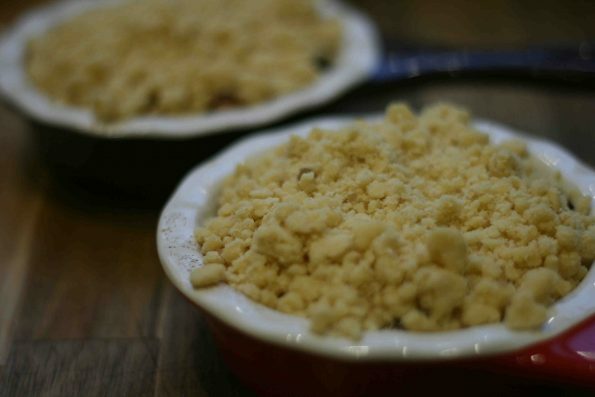 Give it a stir then put it aside and allow it to cool to room temperature. 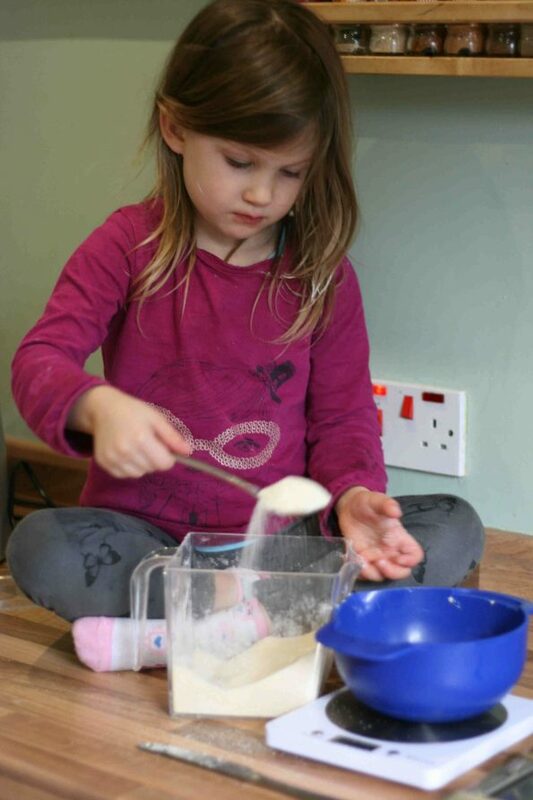 Weigh the icing sugar and butter then mix together using a stand mixer or wooden spoon until they’ve come together. 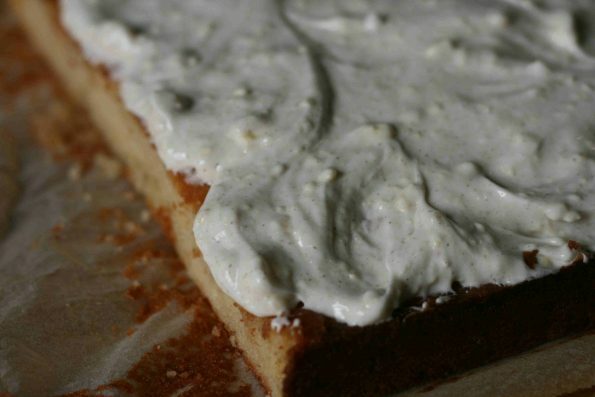 Add the cinnamon and cream cheese and beat together until it is combined. Don’t overbeat it as it can make the mixture go runny. Pop it in the fridge until you are ready to assemble the cake. Using a straw poke holes all over the cake that go about ¾ through. Pour half of the cooled caramel over the cake making sure it goes into the holes. 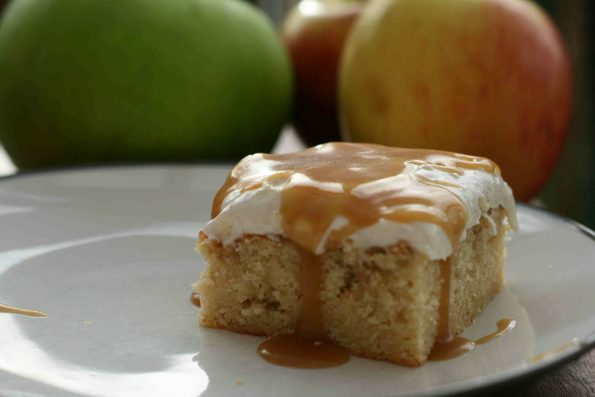 Spread the cream cheese frosting over the top of the cake, then drizzle the remaining caramel over the top.